Each year Cigar Aficionado Magazine smokes an awful lot of cigars. Towards the end of the year, they take the highest scoring from among the cigars smoked in the year and smoke them again, only blind this time and score them again. It is out of this process that the Cigar Aficionado Top 25 List and the Cigar Aficionado Cigar of the Year come. We have gathered all the stogies we are legally allowed to into one super-premium cigar sampler. 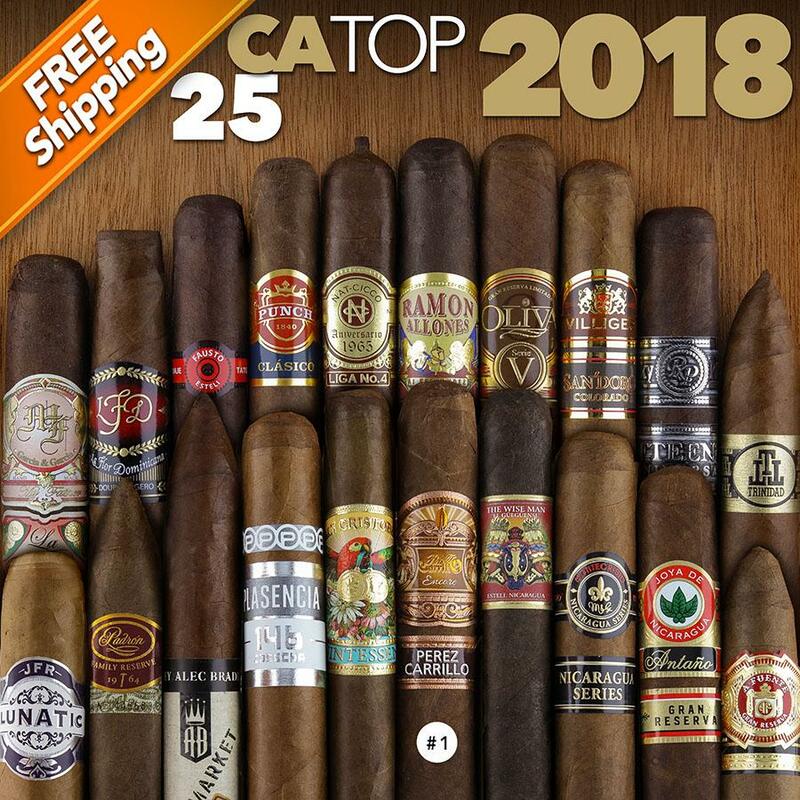 Deeply-discounted for your wallets pleasure but still richly gratifying for your mouth's satisfaction, it's time to see how your palate and preferences sit in judgment alongside those of the Cigar Aficionado Tasting Board. While some would have you believe that we can, thanks to Obama's loosening of the Cuban restrictions on imports of cigars, we still cannot offer the Cuban cigars just yet. Also, keep in mind that many of these cigars go on back-order at various times throughout the year. We're an honest bunch and we will ALWAYS update the list below to reflect any substitutions as we make them in YELLOW (just like this below.) We will always try to use the next closest size or blend we have available, and we will always disclose any substitutions before adding the inventory to the site so what you see below is what you will get.